Media Advisory: "Working Memory and Learning" the Focus of Free Webinar, Presented by Torkel Klingberg, M.D., Ph.D.
BLOOMINGTON, MN--(Marketwired - October 14, 2013) - Recently, there has been a dramatic increase in our knowledge of how children's brains develop and how they learn. Despite this, there is not much interaction between education and cognitive neuroscience. Combining these disciplines, as well as other research areas, could lead to a new science of learning. To help educators gain a deeper understanding of this connection, Pearson is offering a free webinar with Torkel Klingberg, M.D., Ph.D., one of the world's premier cognitive neuroscientists and a founder of Cogmed, the leader in evidence-based training solutions for improved cognitive performance. In this webinar, Dr. Klingberg will explore "working memory" -- our ability to concentrate and to keep relevant information in our head while ignoring distractions. Research shows enormous variation in working memory among children, with some 10-year-olds performing at the level of a 14-year-old, others at that of a six-year-old. More important, children with high working memory have better math and reading skills, while children with poor working memory consistently under-perform. Interestingly, teachers tend to perceive children with poor working memory as dreamy or unfocused, not recognizing that these children have a memory problem. Dr. Klingberg will discuss how working memory impacts a student's performance in school, what variables have the most impact on working memory, the effects of cardiovascular training on working memory, and if an enriched environment makes a difference for working memory function. Dr. Klingberg is professor of Cognitive Neuroscience at the Stockholm Brain Institute, part of the Karolinska Institute in Stockholm, Sweden. His work on child development and brain training is at the international front line. Dr. Klingberg leads a major Swedish project on child development, lectures regularly at international conferences, is the recipient of several prizes and serves as a member of the Nobel Assembly. 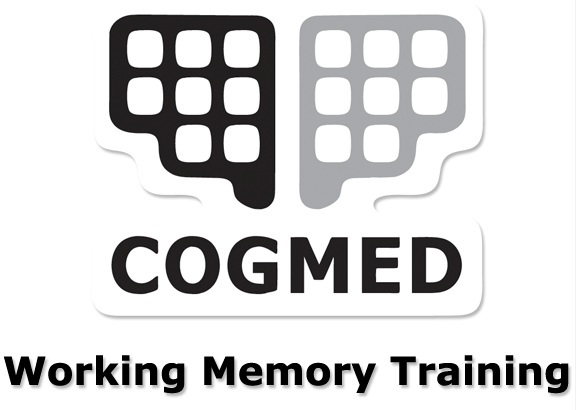 Webinar: Working Memory and its Impact on Learning - The Cogmed Webinar Speaker Series is intended to inspire and educate professionals about the role of working memory training in populations with working memory deficits. These sessions are appropriate for practitioners and educators offering Cogmed training, as well as those interested in learning more about working memory intervention. Built on an extensive foundation of research, Cogmed targets working memory capacity to fundamentally improve cognitive functions that contribute to learning and attention problems. For nearly a decade, the program has been used successfully by thousands of psychologists and mental health professionals worldwide and is currently used by more than 15 percent of schools in Sweden, where Cogmed was originally developed by researchers from Karolinska Institute, one of Europe's largest and most prestigious research universities. Pearson is the world's leading learning company, providing educational materials and services and business information through the Financial Times Group. Pearson serves learners of all ages around the globe, employing 41,000 people in more than 70 countries. For more information about Pearson, www.pearson.com.